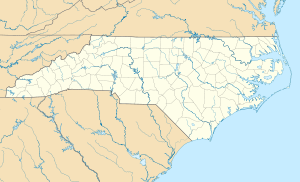 Cape Fear, 0.8 miles (1.3 km) southwest of Kure Beach, North Carolina. Fort Fisher Air Force Station was a United States Air Force installation located on the Atlantic coast 0.8 miles (1.3 km) southwest of Kure Beach, North Carolina. Its primary mission was as a radar complex. It was closed on 30 June 1988 by the Air Force, and turned over to the Federal Aviation Administration (FAA). Today the radar installation that was the main part of the site is part of the Joint Surveillance System (JSS), designated by NORAD as Eastern Air Defense Sector (EADS) Ground Equipment Facility J-02. Fort Fisher Army Airfield (Fort Fisher AAF) was established at the Fort Fisher anti-aircraft range and included construction of 48 frame buildings, 316 tent frames, showers and latrines, mess halls, warehouses, radio and meteorological stations, a post exchange, photo lab, recreation hall, outdoor theater, guardhouse, infirmary, and an administration building. The site had a 10,000-gallon water storage tank, a motor pool, a large parade ground, three steel observation towers along the beach, and a 2,500 ft (760 m) unpaved runway (the Shepard's Battery earthworks were leveled for the runway.) Today,[when?] the parking lot and visitor center for Fort Fisher sit on the remains of the runway. Fort Fisher Air Force Station was opened in 1955 on part of the Fort Fisher AAF installation as USAF Permanent System radar station "M-115" during a $1 billion increase for US continental defense after Hq USAF approved the Mobile Radar program in mid-1954. It was assigned to Air Defense Command (ADC) as part of a planned deployment of forty-four Mobile radar stations. Fort Fisher AFS was designed as site M-115 and the 701st Aircraft Control and Warning Squadron was assigned on 1 August 1955. ADC initially installed AN/MPS-7 and AN/MPS-8 radars at the site, and initially the station functioned as a Ground control intercept (GCI) and warning station to guide interceptor aircraft toward unidentified intruders picked up on the squadron's radar scopes. By 1958 the AN/MPS-8 had been converted into an AN/GPS-3 and an AN/MPS-14 had been added. In 1962 an AN/FPS-7C and AN/FPS-26 were placed in operation along with the AN/MPS-14 radars. During 1962 Fort Fisher AFS joined the Semi Automatic Ground Environment (SAGE) system, initially feeding data to DC-04 at Fort Lee AFS, Virginia. After joining, the squadron was redesignated as the 701st Radar Squadron (SAGE) on 1 July 1962. The radar squadron provided information 24/7 the SAGE Direction Center where it was analyzed to determine range, direction altitude speed and whether or not aircraft were friendly or hostile. On 31 July 1963, the site was redesignated as NORAD ID Z-115. The station was supported logistically by nearby Myrtle Beach Air Force Base South Carolina. Myrtle Beach operated an AN/FPS-14, while Fort Bragg operated an AN/FPS-18. In addition, with the closure of ADC facilities at MCAS Cherry Point (M-116), the AN/FPS-14 Gap Filler at Holly Ridge, NC 34°30′50″N 077°32′08″W﻿ / ﻿34.51389°N 77.53556°W﻿ / 34.51389; -77.53556﻿ (M-116C/M-115C) was redesignated Z-115C in 1963. The first BUIC III site (with AN/GYK-19) in Air Defense Command was at Fort Fisher AFS. The 701st Radar Squadron (SAGE) was inactivated and replaced by the 701st Air Defense Group in March 1970 Just before inactivation, the squadron earned an Air Force Outstanding Unit Award for exceptionally meritorious service for the period from 1 December 1968 through 28 February 1970. The upgrade to group status was done because of Fort Fisher AFS' status as a Backup Interceptor Control (BUIC) site. BUIC sites were alternate control sites in the event that SAGE Direction Centers became disabled and unable to control interceptor aircraft. The group was inactivated and replaced by 701st Radar Squadron (SAGE) in January 1974. in reductions to defenses against manned bombers. The group and squadron shared a second AF Outstanding Unit Award for the period 1 January 1973 through 31 December 1974. Fort Fisher AFS came under Tactical Air Command jurisdiction in 1979 with the inactivation of Aerospace Defense Command and the creation of ADTAC. The "Fuzzy-7" was deactivated after the Raytheon AN/FPS-115 PAVE PAWS Radar at Robins Air Force Base was completed on 5 June 1986, and the base closed on 30 June 1988, and the USAF retained the housing complex and converted it into the Fort Fisher Air Force Recreation Area which transferred to Seymour Johnson Air Force Base when Myrtle Beach AFB closed in 1993. Ground Equipment Facility J-02 continued use of the USAF radar in the Joint Surveillance System (JSS), and "in 1995 an AN/FPS-91A performed search duties." A portion of the base was returned to the state of North Carolina which turned much of it into the Fort Fisher State Recreation Area and historic site. ^ "Information for Fort Fisher AFS, NC". Radomes, Inc.
^ "Deactivation Ceremony Program". Radomes, Inc. 30 June 1988. ^ a b "Fort Fisher During World War II". North Carolina Office of Archives and History. Retrieved 21 January 2008. ^ Freeman, Paul (2002). "Abandoned & Little-Known Airfields, Southeastern North Carolina". Paul Freeman. ^ "First BUIC Site Opens: Ft. Fisher first in ADC To Get New Defense System". The Command Post. Stewart AFB, NY. January 1969. ^ Del Papa & Warner the Space Defense Center combining the Air Force's Space Track and the Navy's Spasur. ^ Murdock, Scott D. "Trip report - Kitty Hawk at last: Saturday, 6 May 2006". Airforcebases.net. Retrieved 21 January 2008. ^ See "Fort Fisher AF Recreation Area". The Website Factory. Retrieved August 20, 2014. Del Papa, Dr. E. Michael; Warner, Mary P (October 1987). A Historical Chronology of the Electronic Systems Division 1947-1986 (PDF) (Report). Retrieved July 7, 2012. Grant, C. L. (March 1955). "The Development of Continental Air Defense to 1 September 1954, USAF Historical Study No. 126" (PDF). Research Studies Institute, USAF Historical Division, Air University. Retrieved August 21, 2014. Johnson, Mildred W (31 December 1980) [February 1973 original by Cornett, Lloyd H. Jr]. A Handbook of Aerospace Defense Organization 1946 - 1980 (PDF). Peterson Air Force Base: Office of History, Aerospace Defense Center. Retrieved 2012-03-26. Leonard, Barry (2009). History of Strategic Air and Ballistic Missile Defense (PDF). Vol I. 1945-1955. Fort McNair, DC: Center for Military History. ISBN 9781437921311. Leonard, Barry (2009). History of Strategic Air and Ballistic Missile Defense (PDF). , Vol II, 1955-1972. Fort McNair, DC: Center for Military History. ISBN 9781437921311. Winkler, David F; Webster, Julie L (June 1997). Searching the Skies: The Legacy of the United States Cold War Defense Radar Program (Report). Champaign, IL: U.S. Army Construction Engineering Research Laboratories. LCCN 97020912. Retrieved April 23, 2014. "Fort Fisher State Recreation Area". North Carolina Division of Parks & Recreation. This page was last edited on 13 February 2019, at 09:26 (UTC).